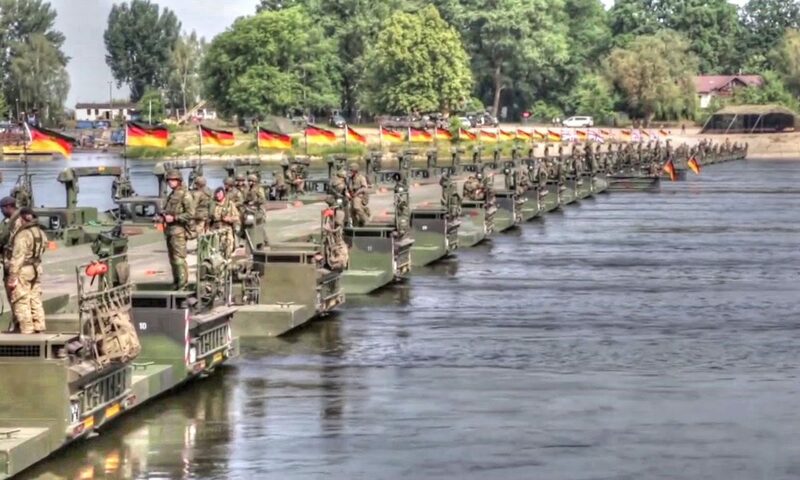 This bridge stretching the length of the Vistula River near Chelmno, Poland was created by connecting 34 UK and German M3 Amphibious Rigs together, which was then able to support 200 U.S. Army vehicles crossing, including Stryker armored fighting vehicles. 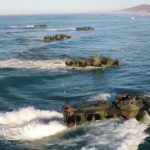 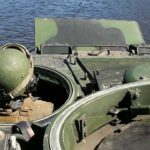 The M3 Amphibious Rig is a self-propelled amphibious bridging vehicle that is used for the projection of tanks and other vehicles across water obstacles. 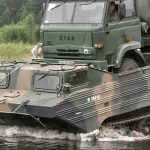 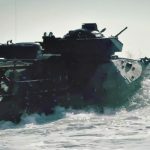 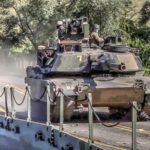 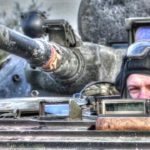 Posted On June 9, 2016 in Army, Military with 0 Comments.Tagged: Amphibious Bridging Vehicle, Amphibious Vehicle, armed forces, Bridge, bridging vehicle, M3 Amphibious Rig, Military, military exercise, military training, military video, Tank, US Military, weapon.